Would you like to help but are not able to come to Huanchaco? Supplies like food / drinking bowls, brooms, blankets etc. Medical care: flea and tick treatments, treatment of sick dogs, vaccinations, sterilizations etc. Stichting Esperanza Canina is an association with an ANBI (a public benefit organization) status. 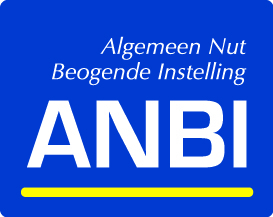 ANBI is the non-profit tax designation in the Netherlands issued by the Tax Office (Belastingdienst) in accordance with the general tax laws (Uitvoeringsregeling Algemene Wet Rijksbelastingen 1994). An institution can be qualified as an ANBI solely when at least 90% of the institutions efforts are focused on the general good. An ANBI does not pay Dutch inheritance tax or gift tax on inheritances or gifts that the institution allocates to the general good. In case you would like to stop your monthly donation to support our work please send an email to info@esperanzacanina.com telling us you would like to stop the monthly donations. Please indicate a reason and send us your full name and reference number.